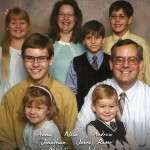 “The Esperanza Viva (Living Hope) Baptist Church began in our apartment, back in 1993. Two years later we moved into a rented building in the nearby, larger town of Beasain. For the first 8 years or so, and in spite of a bunch of evangelism of all kinds, the congregation remained extremely small. However, about 10 years ago the Lord began to add to His church. People were saved and wayward believers drawn back to Him, and we started seeing the growth of a vibrant congregation of hungry, changing, believers.” You can read more about Andy and Mimi Bonikowsky by clicking here. The Cadavos work with people who have never heard the gospel of Jesus Christ. 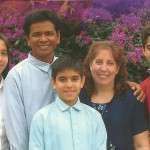 Dan, a Philipino himself, works diligently with his family to reach Philipinos and Asia for the Lord. 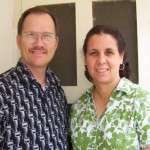 Dan and Edna Cadavos serve in the Philippines in several different ministries. Dan leads his church, Mount Calvary Baptist Church, work in the Casisang Christian School, training over 200 children in academics and the Bible. The has also blessed as he leads Refuge Mountain Bible Campgrounds. At the camp, he is able to run camps for young people. Through these ministries they work on evangelism, encouraging/training pastors, and also works on church planting. “CEF exists to win boys and girls to Christ, to help children grow as Christians, to channel unchurched children into Bible-believing, Bible teaching churches, and to train young people and adults how to teach the Word of God to children.” Although CEF of Eastern Pennsylvania serves many counties, we support the Philadelphia County outreach specifically. The Philadelphia County CEF is headed by Hannah Beatty (Right; pictured with her husband David). For more information click here. “Hananeel Ministries is one of the oldest Jewish missions in the United States, celebrating its 100th anniversary in 2011. Originally established as “The Evangelization Society of Philadelphia” (a name it still carries) it has become more frequently known as “Hananeel” during the last 20 years. Hananeel Ministries has directed the greater part of its work to the greater Philadelphia region, which has one of the largest Jewish populations in the world.” For more information click here. “The Kensington Neighborhood House is a true inner city mercy ministry in every sense of the word(s). The KNH is located in the inner city reaching out to residents of the inner city, is dedicated to specific acts of mercy and is seeking to minister to real people in a real way.” Currently, the KNH is undergoing some changes in its approach to ministry. The board of the KNH is seeking to minister to the community in the most effective and God-honoring way possible. Keep checking back for updates or click here for more on the history of this ministry. “Joaquin and Paqui Lopez are Spaniards, serving in Spain under GFA. The Lord initially led them to Mataró for their church-planting ministry. In 2007, they turned the ministry in Mataró over to national leadership. The Lopez family is now focusing on the town of Tarrangona for their second church planting effort.” For more information on the Lopez’s ministry click here. “After a year of deputation, the Mutzkes left for Germany. The Lord brought them to Heidelberg, where they started a church from “scratch.” Knowing the language and culture is a tremendous help in reaching the Germans. The church first met in a basement and later in rented classrooms of a public school. Eventually they were able to purchase their own facilities. The spiritual ground is very hard in Germany, and things progress accordingly; however, the Lord is building a solid church and is changing lives in a marvelous way. The Mutzkes are thankful for those they have been able to teach and send out to start churches in other parts of Germany. 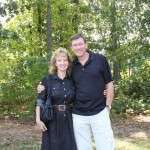 After they waited and prayed for several years, the Lord enabled them to start a Christian school.” For more on the Mutzkes click here. 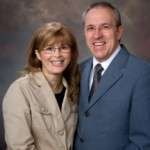 Roger and Nola Perrott are currently pastor Hebron Baptist Church. They seek to church plant and develop leadership. Their outreach includes tract distribution, outdoor preaching, personal evangelism with training of believers through example and through courses and work through a community center outreach. They also provide homework helps with local Chinese co-worker providing help for primary and secondary students, special English courses and English corners – to reach secondary students and community outreach activities to reach the families of our students. Finally, they hold Good News Club, outreach to men through sports activities and parent/preschooler art classes. “R.A.M. is committed to seeing bible preaching churches in each community in rural Appalachia – this has been our foundation from the beginning! R.A.M. seeks to strengthen the Appalachia region with bible preaching churches. One way we seek to serve this area is by going to each community and evaluating that community. If there is a bible preaching church then we try to come along side that church and help build it up. We also have over 30 acres in Jenny’s Creek, WV. We use this land for several uses including housing and camp ministry. Camp ministries include day camps, retreats, resident camps, etc. In general, small churches in Appalachia use these facilities.” To read more click here. 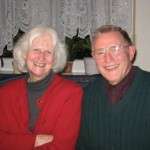 Stephen and Ruth Schaefer are currently serving in Central India. The work in several ministries including Bible and theology seminars, Children’s Gospel meetings, tracting, witnessing, mentoring, and more. India is officially a secular state, where all religions have freedom of worship. However, Sikhs, Muslims and Christians have faced discrimination at different times since independence. Nevertheless, the Gospel is being preached and people are getting saved. 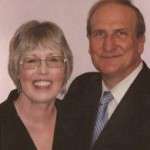 John & Virginia Casto: Served with Overseas Missionary Fellowship(OMF.) This is a Christian mission that serves the church and brings the gospel to some 12 countries in East Asia and has a pioneering ministry in others. We provide Christians with opportunities to share the love of Christ with East Asians worldwide. You can read more about OMF at www.omf.org. Lillian Evans: Served with Pioneers. Pioneers mobilizes teams to glorify God among unreached peoples by initiating church-planting movements in partnership with local churches. You can read more about Pioneers at www.pioneers.org. Eleanor Iwan: Served with SIM USA. SIM helps churches and missionaries from the USA to establish cross-cultural ministries. You can read more about them at www.sinusa.org.